Has your skin been dull lately? Do you feel like nothing you do will bring that youthful radiance back? Look no more because this facial is especially designed to scrub away dull skin and reveal fresh, new, radiant skin. This facial uses Eminence’s award-winning Arctic Berry Peptide Peel and Illuminating System to reveal youthful skin. 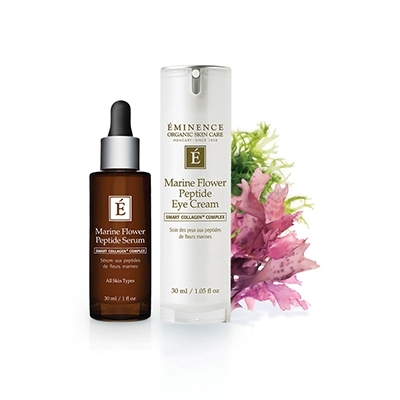 Your aesthetician will also use the new Marine Flower Peptide Serum and Eye Cream. This new line is infused with botanical plants which smooth and brighten your skin and helps to reverse the aging process naturally. No more chemicals for your skin! Eminence is one of the top skin care companies that performs real clinical trials to prove that their products make a difference. Come into the spa and let us show you how great your skin can look!